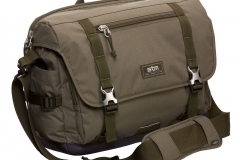 Previously, the STM Velo won our Editor’s Choice award and was the most practical satchel we’ve seen – until now. The STM Trust from the Annex range has dethroned the Velo but only just. 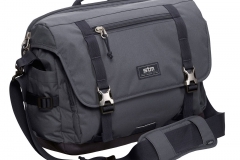 Like the Velo and the recently reviewed Scout 2, the Trust is a satchel / messenger bag specially designed for a digital cargo. 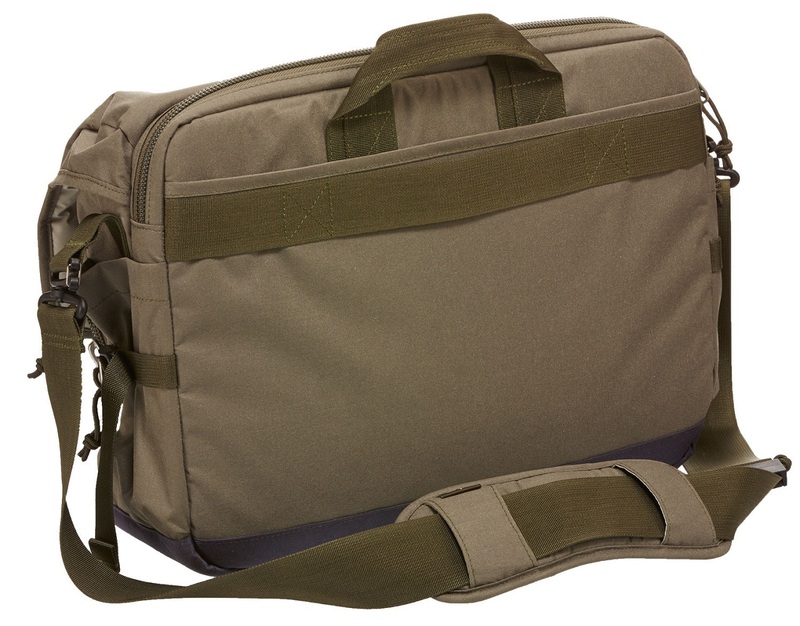 Its available in olive, red and graphite (navy) and we were able to get a medium sized one for testing and review. The Trust is pitched at the needs of anyone who spends a good portion of their time commuting (public transport, air travel) and carries lots of technology – so think business professionals, students, (journos?). There are a lot of pockets, added durability and subtle styling incorporated into the design via minimal colour variation, strong self repairing zippers and durable stitching. This is the most practical laptop satchel bag I have used, even more so than the Velo. It’s also able to take a beating as the road test I gave the Trust turned out to be the pretty demanding. 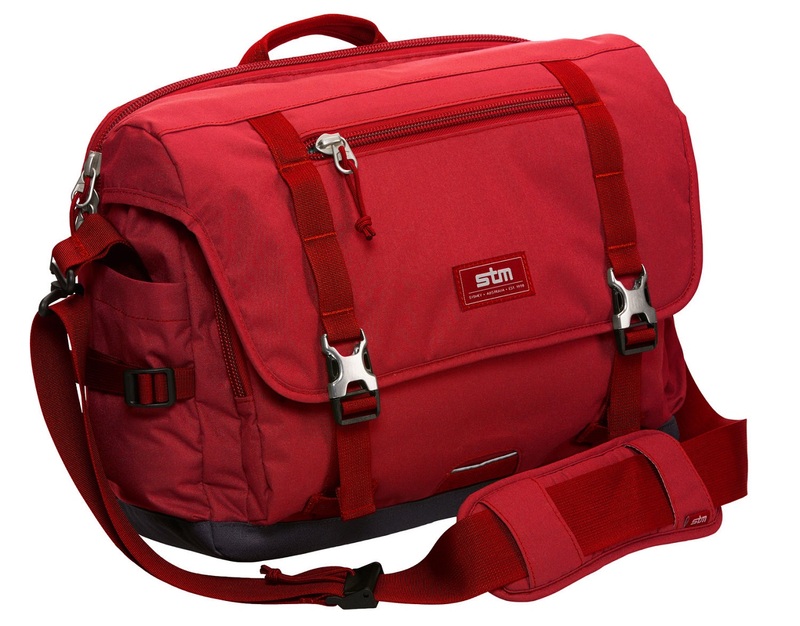 You can see the promotional shots from STM Bags website below. There is a lot to like so I’ll walk through the things that caught my attention before listing off the manufacturer specs. 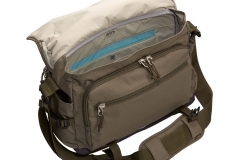 The Trust has a drop pouch on the front flap with a soft lining and 2 pockets for phones, iPod or sunglasses. You could also keep keys, change etc. in here if you wanted and its big enough to carry a wallet. The Laptop compartment is also accessible without opening the main flap and also lined with a soft fabric to protect your laptop. The shoulder strap has swivels on both sides to it won’t twist up on you and the shoulder pad is comfortable too. Adjusting the length of the strap is pretty straight forward and you need to make an effort to open the clasp – it doesn’t look prone to coming loose by itself. 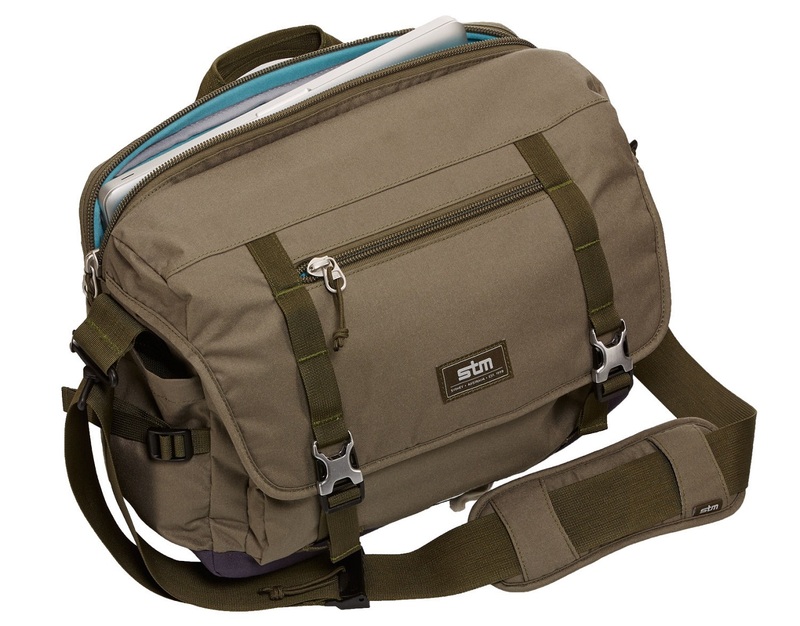 The alternate carry handle at the top of the rear is well stitched in and bigger than the one on the STM Scout 2 but best used sparingly for moving the Trust from one place to another – simply because it isn’t as convenient as the shoulder strap. 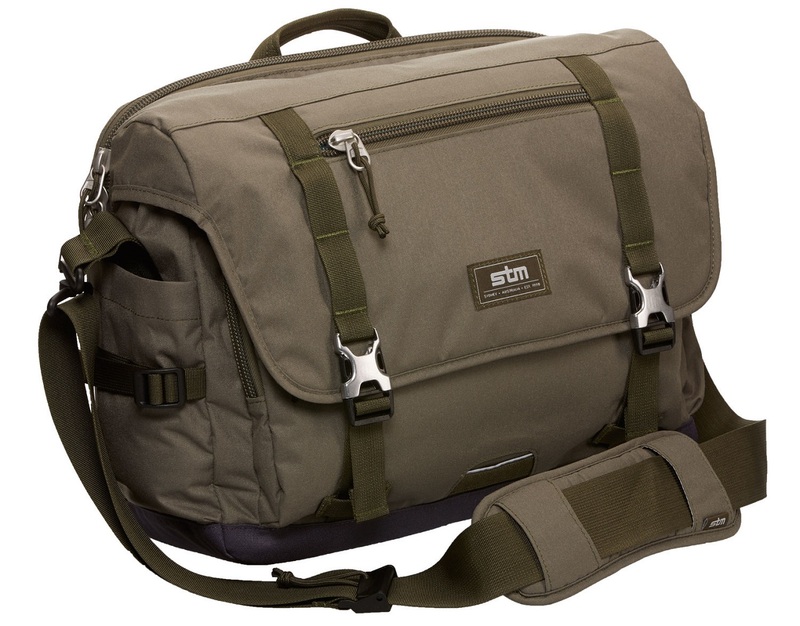 The branding is a little more obvious than other STM bags I’ve seen but it’s still relatively understated on the front. The reflective strip on the bottom of the main flap shows up well with the flash in the photo below and while it isn’t obvious during the day, it ought to catch a driver’s eye if you are crossing the road at night. There are open pockets on both side of the Trust for things like bottles, snacks or in my case, sunglasses. These have an adjustable strap to tighten the pockets but there is no top on them so they are really convenient but not overly secure. 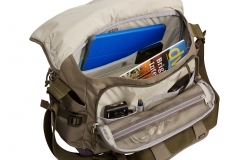 The very back of the bag has a document pouch with a small pocket inside it for a small tablet or phone. I actually used the smaller pocket for boarding passes and kept a magazine or travel itinerary in the larger pouch. 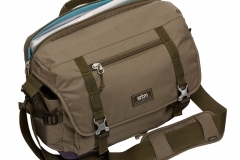 There is an elastic strap along the back for attaching over a ‘wheelie’ bag handle – when using this, I tucked the shoulder strap into the back pocket to keep it out of the way until I needed it. In order to get the rest of the pouches, you have to undo the adjustable clips and flip up the main flap – these clips have are part metal and part plastic so they are light but durable and very easy to manipulate with one hand which is great when you’re on the phone or carrying a coffee. Inside, there is a soft lined pouch for an iPad or tablet, a sizeable main compartment for some notebooks, power adapters, lunch – or in the case of my recent Tokyo trip, the mother-load of souvenirs for the family. 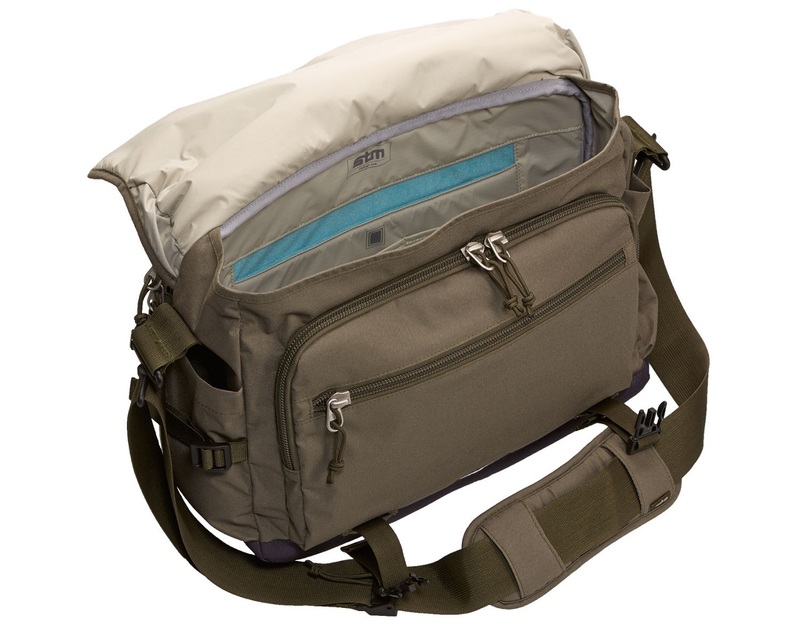 There are 2 thin pouches and one larger pouch in the main section to help keep things in order. 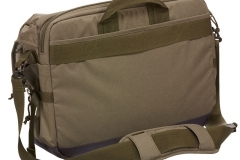 It’s fair to say that if you travelled light, you could easily carry a washbag, fresh shirt and underwear for an overnight trip in the Trust – it’s bigger than it looks but when it’s lightly loaded, the straps keep it compact. The main flap also covers 2 zippered pouches, one behind the other. The larger zippered pouch has a lanyard style clip and stitched pockets for pens, business cards, small notepads, headphones etc while the smaller front zippered pouch is a single compartment that I used for receipts. The strength of the Trust for me is the number of sections and pockets. There is a place for everything and everything can have it’s place. The pockets are pretty universal as well so you’re not really limited by the design. As an example, I counted about 6 places that I could stash my phone. Front zip org panel for biz cards, pens, keys, etc. And another front zip pocket just in case! 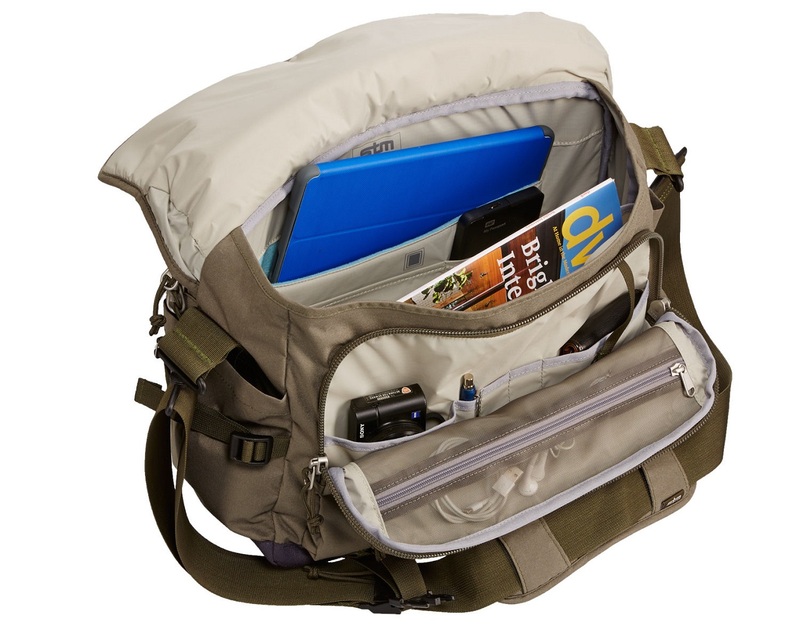 Of the above, the stand outs for me were the dedicated tablet slip pocket, the zippers (awesomely durable) and the dedicated laptop compartment. The laptop compartment was easily the most convenient feature with domestic and international travel and made it faster to get through crowded security screening points. We found the Trust medium online for $149.95 but in-store prices may vary. I’ve now road tested the Trust for just on 4 months with extensive domestic air travel and one trip to Japan where I loaded it up well beyond normal use with gifts and Duty Free on the way home. My 15″ Dell Latitude was an easy fit so if you have a 15″ laptop, even a thick gaming one you should be fine. I wouldn’t have loaded up many other bags like I did with the Trust on that trip home from Tokyo but I really wanted to avoid having to manage an additional bag. To my surprise, there were no signs of stress afterwards – so kudos to STM on durability! Like all the other STM products we’ve written up, the manufacturing quality was flawless. Our review sample was the medium size in graphite (blue) and it was tested under typical business conditions with a daily commute and regular air travel. This means being stuffed in overhead compartments, under seats, shoved through airport security and accessed on the go. Based on previous experience with STM gear I wasn’t surprised that the Trust still looked new after 4 months. There were no pulled threads, marks or stains, zipper issues, pilling, or any other faults to be found – I’m talking “total survival” here. It’s good to see the heavy duty zipper on the Trust – it doesn’t look out of place and feels really robust. There are a lot of small features that combine to make the Trust highly practical. Features such as the swivels on the shoulder strap, a pocket everywhere you need one, protective soft nylex lined pockets for phones, tablets and laptops plus the free reward tag to increase the chances of seeing again if you happen to lose it. As stated in the introduction, the Trust has surpassed the Velo as far as I’m concerned but only just. I still rate the Velo as a fantastic satchel but given the choice between the two, the flexibility of the Trust has won me over. The Trust isn’t cheap but it’s very durable, has a 20L capacity, looks good and from a practicality standpoint it’s hard to fault. Whilst $150 isn’t necessarily expensive for a bag like this, some students who would benefit from the features of the Trust may find it slightly out of reach. There was no hesitation in giving the Trust our Editor’s Choice award as it takes all of the elements we liked in the STM Velo and adds a few more. As an aside, STM have other ranges in the process of being launched at the moment so if you found this review interesting check out the full Annex range at the STM website.